Empowerment Essence provided coordination of services on behalf of youth and young adults who may be experiencing or considered at risk in the areas of education, housing, mental health, behavioral health, social work, employment, and cases involving the judicial system. Empowerment Essence Mentoring Program is a viable resource for the communities it serves. Referrals that are made to the program will have the confidence and assurance that all youth will receive the appropriate training, guidance, and assistance to becoming productive leaders within their communities. The community will be able to recognize that Empowerment Essence offers quality services and encourages academic achievement and success. The program also provides youth with basic tools for survival in the workforce and necessary life skills needed to thrive independently. 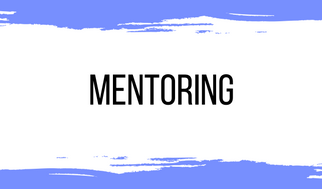 Mentors act as a liaison between youth, school, community, and employment. Mentors document all contact and correspondence with youth, providing frequent progress reports to case manager. For full details on case management and mentoring opportunities, please contact Empowerment Essence today.